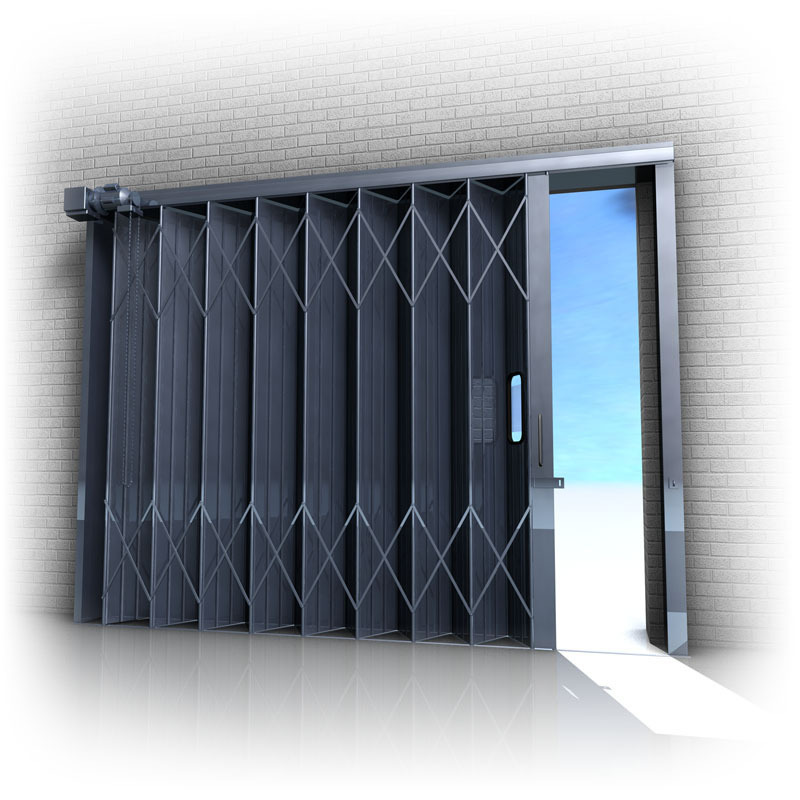 The Immense strength of our Securfold Sliding Folding Shutters enables them to withstand 150mph gusts of wind. This is even possible across openings of up to 60m wide and 12m high. Security is also a key asset of the Securfold, as a heavy gauge galvanised steel strip is press braked to the required size and shape and fixed to the doors and door jambs. Plus, each door has a bow handle inside and out, which is fitted with a heavy duty hasp and staple to take your own padlock, while we also offer additional locks of our own. The shutter can be fully optimised for your environment, with the option of doors fitted inside, outside or within the opening, which can be arranged as opening to one side: left-hand or right-hand, or opening to both sides as a pair. Cut outs for crane beams and monorails are also available, as are both electrical and manual operation.